I recently had the pleasure of being approached about being involved in another project with World Vision. This one came from the campaigns team, and involved thinking and playing a part in forming the strategy and potential tactics for their upcoming advocacy campaigns. It sounded fantastic – a bit of policy, stakeholder engagement, innovative thinking and generally thinking about the messages they were hoping to form over the next few years to help assist the world’s poor. Here’s the rub…I had already committed my time to the Biofuels and Diesel Project. 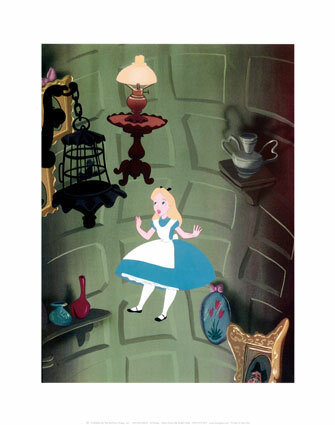 Choosing the right project to follow is, I’m quickly learning, like following Alice down the rabbit hole. I tend to go with my gut, and follow that dam rabbit as soon as he jumps. Soon, I’m falling down the path and have little hope of climbing back out. When making the decision on which path to take (or rabbit to follow) the first thing I asked myself was what I wanted to be known for. Do I want to be known as a World Vision employee? Or do I want to be known as a Biofuels guy? Or a bit of both? Or…what? After I had a bit of a think, I came to the conclusion that I would like to be known as someone who lived a bit of a varied life, and was able to bring to bear a variety of experiences and a bit of a different skill set to the table. Given that, what kind of projects did I want to have in my portfolio? I answered, and had to subsequently turn down the fantastic opportunity with the campaigns team. I could not have delivered on that project, and still done everything else that I wanted to do (and was now committed to doing…there goes that rabbit). I was open, and honest, and let them know pretty much all of the above. After laying it out like that, and letting them know that I felt I couldn’t deliver and had no time the fall out was excellent and the relationship is still strong. I hope to work with them another time. In the end – I’ve fallen for the rabbit with the entrepreneurial skills. I’m keen, pumped, and now working hard on making sure we can start up a very cool, very cutting edge biofuels company. In the end, deciding which projects to throw your weight behind is always tough. Making the choice though, honestly with yourself first and then the potential clients/partners second is a good start. Next Post Searching for Work – Does this exist? Hi Steve (I think this is your first post? )… I had no idea you blogged. I’ll be keeping track via a feed. Have you seen the new ergo office yet?